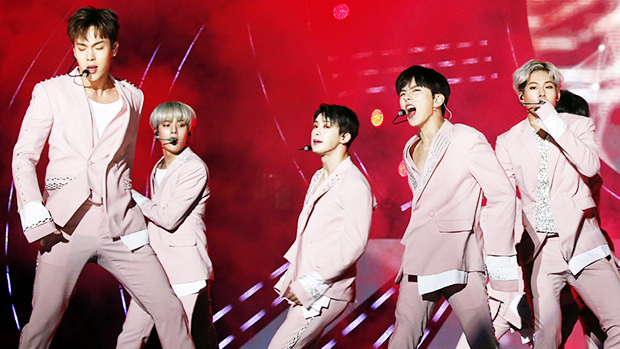 The guys of Monsta X have a lot to celebrate — they just took home their first music show win on Nov. 14! The exciting moment went down on the South Korean music program, The Show, as the guys were awarded for the success of their latest single, “Dramarama.” It was an emotional moment, as all seven members took the stage to accept the honor and give an encore performance for their excited fans. After the news was announced, the Monsta X fandom went wild on Twitter, pointing out that the guys have been at it for nearly three years, and have deserved this win for a long time. Monsta X was formed on the show No Mercy in Dec. 2014, and put out their first EP in May 2015. They have been consistently putting out music ever since, and dropped their debut album, The Clan Pt. 2.5: The Finale Chapter, in March 2017. It was re-released three months later. Their most recent work was an EP called The Code, which they dropped on Nov. 7, 2017, along with the debut of “Dramarama.” The band consists of seven members, and they have a massive fan base that could not be more thrilled about the success the guys are finally receiving. “I don’t know how to put this feeling in a word,” one fan wrote. “Monsta X is my inspiration they are my star.” Another added, ” I am so proud of our boys, they finally got well deserved first place. I am crying. I’ll never forget seeing them cry like that.” Clearly, it was a big day for the boys AND their fans!